How’s this for Christmas Gift? 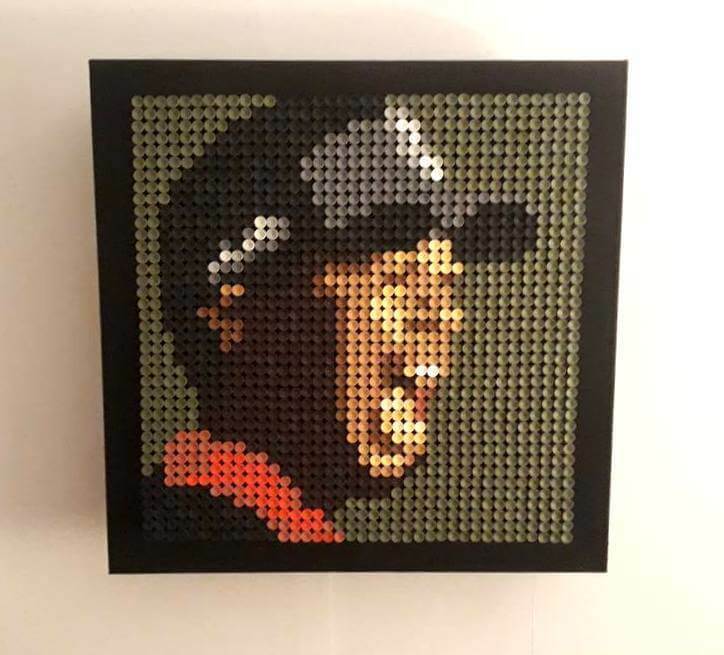 Jim Golding, the founder of Arteeworld was kind enough with us to share his story of how he came ahead and got successful with his innovative idea of making portraits with “golf tees”. Yes, you heard that right even we were surprised after looking at his art and collection, and these surely make for best of the Christmas Gifts or even at club tournaments as prizes or even to a non-golfer in your family. Jim’s collection ranges from Star Wars Troopers to great golfers names including Tiger Woods, Rickie Fowler, Arnold Palmer, Bubba Watson, Ian Poulter, Jack Nicklaus, Rory McIlroy and many more. 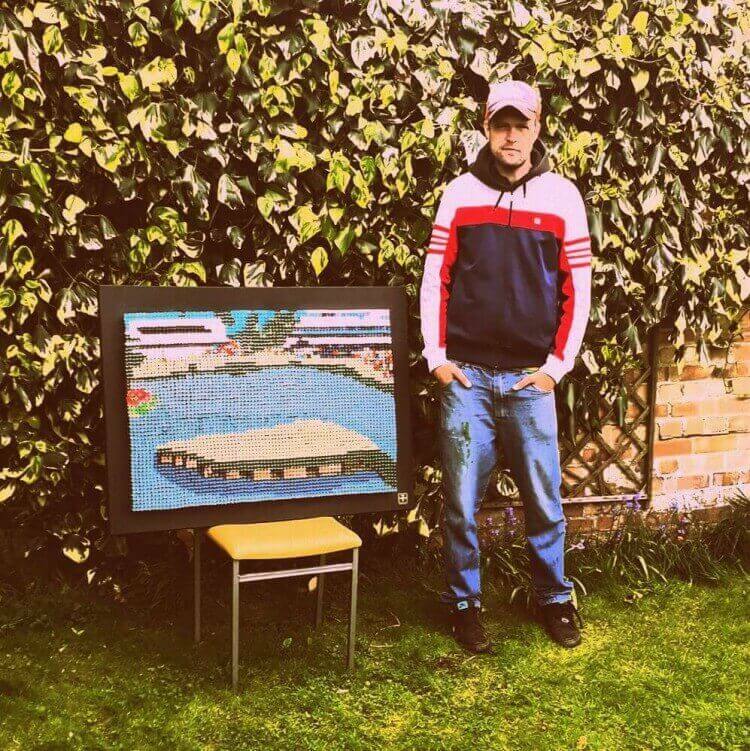 Andrew Johnston loved his art and got one made especially for himself (as seen in the above pic). How he got this unique idea? Jim was trying to make a huge mural of Jimi Hendrix with different colored guitar plectrums, but he found something amiss, he wished it to be grand and was looking for better ideas for the same. Few weeks passed by and one day he was just laying down watching Football on TV and playing with a golf tee in his hand, and suddenly realizing that this could be it, the tee can be used too, and he is been doing the same for past one year, creating amazing arts with a tee. Some use of it, eh? Art meets golf at Arteeworld for real. Jim Golding, 39, is a resident of North West London, and has been an art fanatic since his childhood and always wanting to do something unique and amazing in art, starting out with drawing on walls at the age of 8 like everyone else as a kid but it caught up to him, he started doing this often, leading him to designing comics and later to graffiti/airbrush. 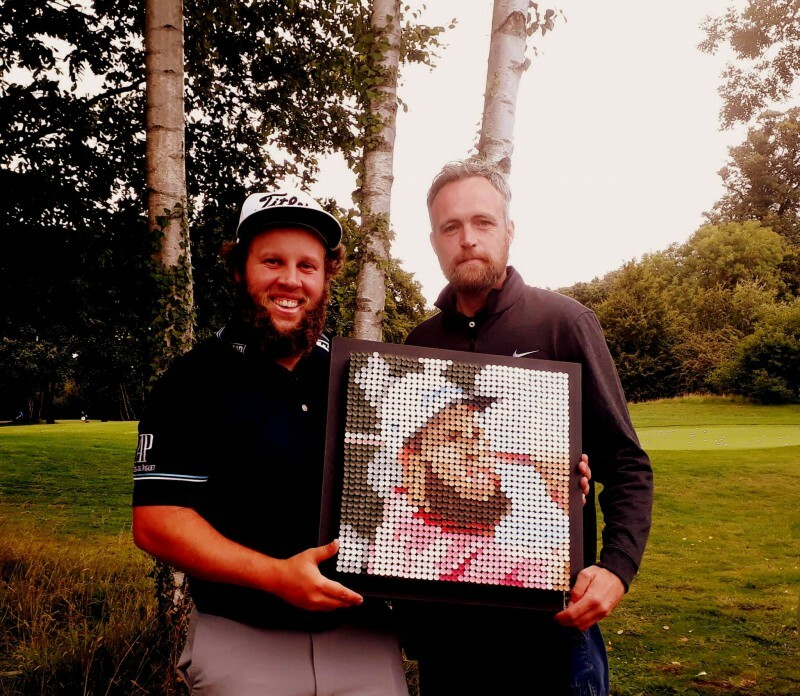 He surely had an acumen for art, but Jim has been an avid golfer for life from a very young age of 8, representing Hertfordshire and winning several competitions in his junior days, he still enjoys the game and makes time for it every week. Jim has previously worked with PGA in America and was assigned to create tee art of the infamous par-3 17th at TPC Sawgrass. Now look at this, isn’t it just amazing? All of his creatives and arts are available at www.arteeworld.com, go look at them, what are you waiting for?? Now a special treat for Tiger Fans.